A few weeks ago I talked about a fossil of the earliest spider relative. This week, I’m going to continue talking about arthropods (the group containing spiders, insects, scorpions, trilobites, crustaceans, millipedes, and others). 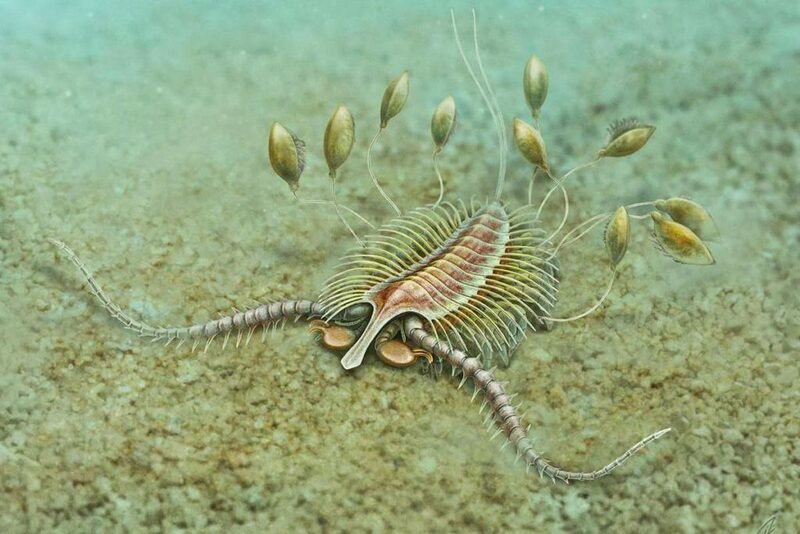 In early April (2016), an [article] was published describing a new arthropod from the Silurian (443-419 Million years ago) of the United Kingdom, called Aquilonifer spinosus. This new arthropod is most closely related to millipedes, centipedes, and crustaceans, but does not belong to any of those groups. 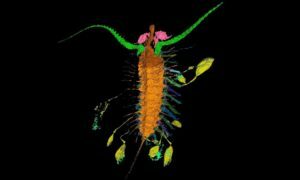 The thing that makes Aquilonifer spinosus so unique is that the fossil preserves babies attached to it by long, thin strings, like kites! The name Aquilonifer means ‘kite bearer’. Some arthropods use different ways to protect their babies until they are ready to live on their own, like keeping the eggs and young babies in their carapace for a time. This kite flying strategy has never been found before. By having the babies attached like kites, the adult could bring them to new areas to find food, defend them from predators, and keep them safe until they were older. If you want to see more of the specimen, the authors made a little [movie]. 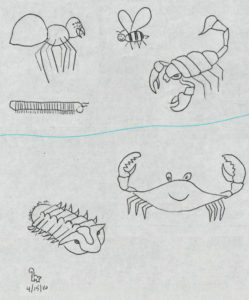 This entry was posted in English and tagged Aquilonifer spinosus, arthropods, kites, Silurian. Bookmark the permalink.